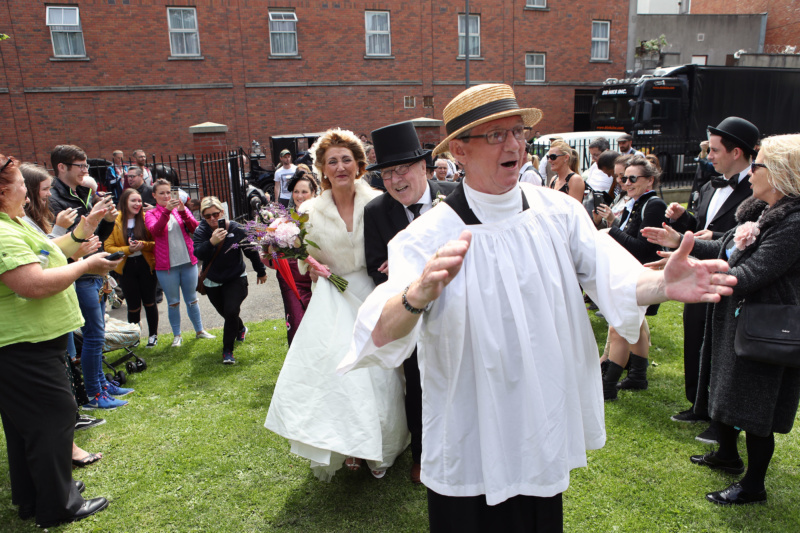 During the Irish State’s infancy and right up to modern times, a variety forced labour institutions under the control of the Church and sanctioned by the State, robbed men, women and children of the basic human rights we hold dear today as Irish and European citizens. The institutions took three forms, Mother & Baby homes, Industrial Schools and the Magdalen Asylum for Penitent Females a.k.a. Magdalen Laundries. 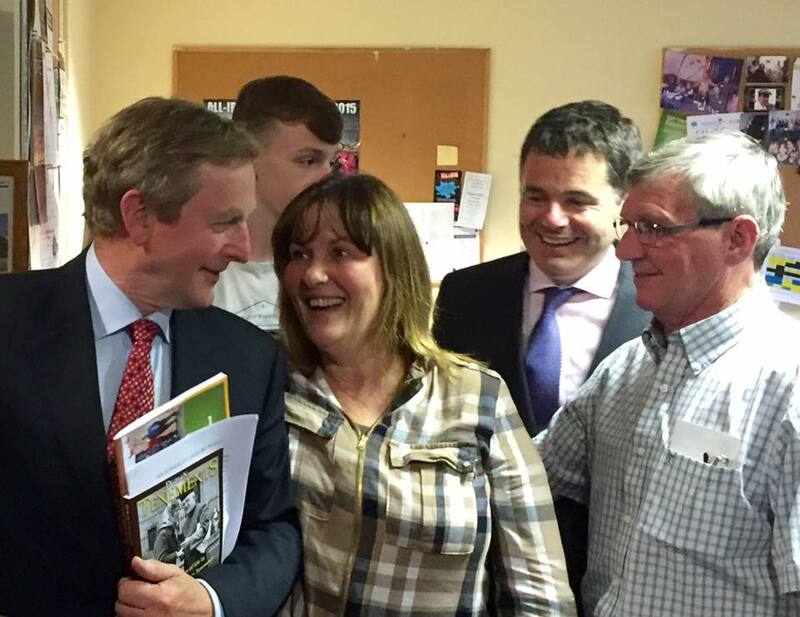 The idea behind these institutions was to provide for the vulnerable, people of all ages, on the island of Ireland. Although, they were regarded as religious penitentiaries where, in actuality, many of the inmates were subjected to horrific atrocities that can only be described as criminal. On Friday, August 25th, 2017, at the site of one of the last Magdalene Laundry (closed in 1996, on Sean McDermott Street, Dublin) the community came together to seek justice for the many victims of the Magdalene Laundry’s. In attendance were a number of surviving victims who bravely stood up and shared their experiences. The stories are heart breaking. Please take some time to see our videos of their moving stories. Today, the Irish Government has recognised the need for reparations and recognition of the atrocities suffered by men, women and children across Ireland at the hands of the Church under the authority of the State. But, it is not enough. At a bare minimum we are seeking that this Magdalene Laundry site host a decent memorial, so that this is not another atrocity minimized or wiped from our memories. We in HOPE support public consultation on the use of the site to be sold by Dublin City Council and in particular, we support a suitable memorial to the woman and children who suffered behind those walls. Also known as ‘institutionalisation‘, refers to deficits or disabilities in social and life skills, which develop after a person has spent a long period living in residential institutions. In other words, individuals in institutions may be deprived (whether unintentionally or not) of independence and of responsibility, to the point that once they return to “outside life” they are often unable to manage many of its demands; it has also been argued that institutionalised individuals become psychologically more prone to mental health problems. With the closure of the industrial schools, magdalene asylums, and the mother & baby homes, it was thought that institutionalistion was to become a thing of the past. Instead, the institutional syndrome has shifted from one vulnrable group to another. Direct provision is the system for dealing with migrants seeking asylum in the Republic of Ireland. Irish institution survivors share their experiences. 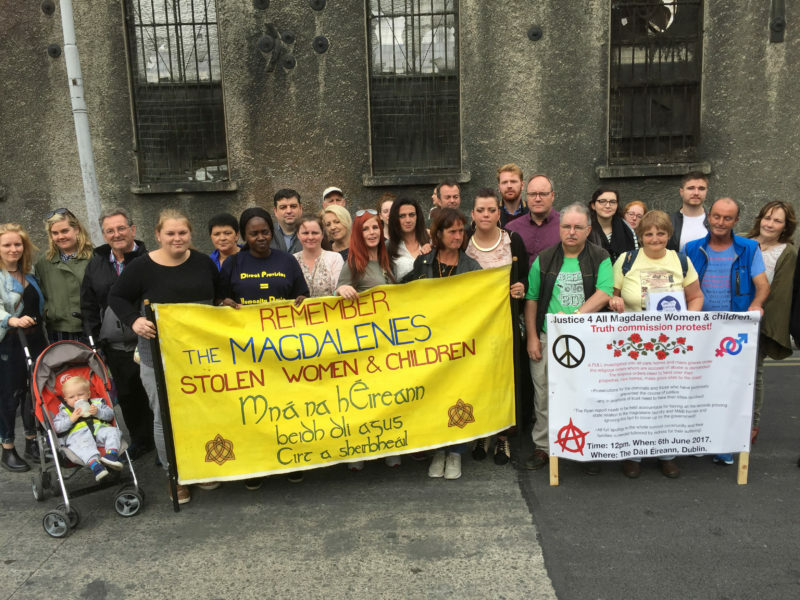 A compilation of video clips recorded at the rally for an Honourable Magdalene Memorial, Sean McDermott Street Magdalene Asylum (closed in 1996), Friday 25th August, 2017. Last night – Thursday, 16th February, 2017 – the government task force to north east inner city launched the Kieran Mulvey report. H.O.P.E., along with many other community stakeholders, were present in anticipation of the final report. The communities of the north east inner city have suffered severe social inequalities for many years. With that in mind, this project welcomes the report and it’s suggestions. After meeting with community groups, individuals, organisations over the last few months and taking some 50 organisational/individual submissions, Kieran Mulvey used the issues put forward to inform the report. And from these submissions, an action plan has been formulated. But what does the action plan have in store for the north east inner city? Tackling crime and drugs; Better and more visible policing with an emphasis on community policing needs to be key feature in the Plan. It must be “safe” to lead; it must be “safe” to live, work, learn and play in the community. Maximising educational/training opportunities/ creating local employment opportunities; There needs to be significant enhancement of the linkages between education and employment opportunity for this current generation of school goers, young adults and the unemployed in local businesses and enterprises, particularly in the business / retail area of the inner city and in the Docklands Development – both in construction and business occupation stages. Creating an integrated system of social services; Social, educational and training services to address the real problems faced by families and their children need to be planned and delivered in a far more coordinated fashion. Services should be co-ordinated under a single plan which is in response to the particular needs and circumstances of different communities within the area. Improving physical landscape; The area has some of the broadest streets in the City with potential for refurbishment and revitalisation. Future regeneration needs to explore the potential within the area to renovate, make it liveable and bright with improved physical landscape; to eliminate waste, derelict sites and progress the refurbishment and replacement of the existing flat complexes. Government accepts recommendations of the Mulvey Report for regeneration of the North East Inner City. Ring-fenced funding of €5m will support implementation of the report. Policing resources in the area to increase by 30 additional Gardaí by end 2017. Rutland Street School to remain in state ownership and to be developed as a community hub. Design, planning and procurement relating to the re-opening of Fitzgibbon Street Garda Station to begin. Government to move quickly to put in place Implementation Structures recommended with strong Community Engagement and Government Oversight. Arising from a number of drug-related deaths in Dublin and Cork in recent weeks, the HSE is issuing an alert in relation to the dangers of a class of Opiate drugs known as Fentanyl. 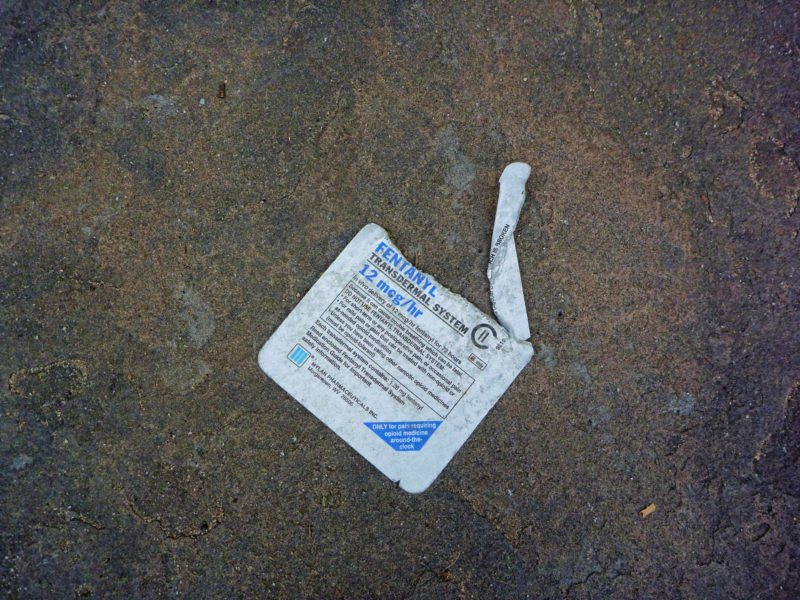 While fentanyl is a narcotic analgesic and used in both anaesthetics and for analgesia, a number of non-pharmaceutical Fentanyl have been implicated in deaths where it has been assumed to be Heroin (or in some cases possibly other drugs). Fentanyl can be up to 600 times more potent than Morphine and may be sold as ‘designer’ fentanyl or ‘synthetic’ heroin. Therefore even experienced heroin users are at risk if they take this drug. To date, five deaths are being investigated in Ireland where Fentanyl have been implicated and it seems that the deaths have occurred after users have either smoked or injected the drug. This has occurred over the last number of years in other European countries. Overdose results in respiratory depression which is reversible with naloxone. At this time it seems most likely that Fentanyl may be sold in powder form possibly mixed with Heroin or alternatively mixed with Caffeine and Paracetamol to mimic the effect of Heroin. Therefore the drug can be snorted, swallowed or prepared for injection. By any route, this drug is very dangerous. Fentanyl is extremely potent and even the smallest amount of the substance can cause overdose and death. Fentanyl may also be absorbed through the skin. The effects of the drug may be indistinguishable from Heroin meaning that at this time Heroin users are most at risk to unwittingly consume this substance”. For support around drug and alcohol use the HSE Drugs & Alcohol Helpline that is available Monday to Friday, 9.30am, and 5.30pm. This confidential service has both a freephone Helpline (1800 459 459) and an email support service ([email protected]). Information is also available on drugs.ie in relation to this substance. A New HOPE for the community. 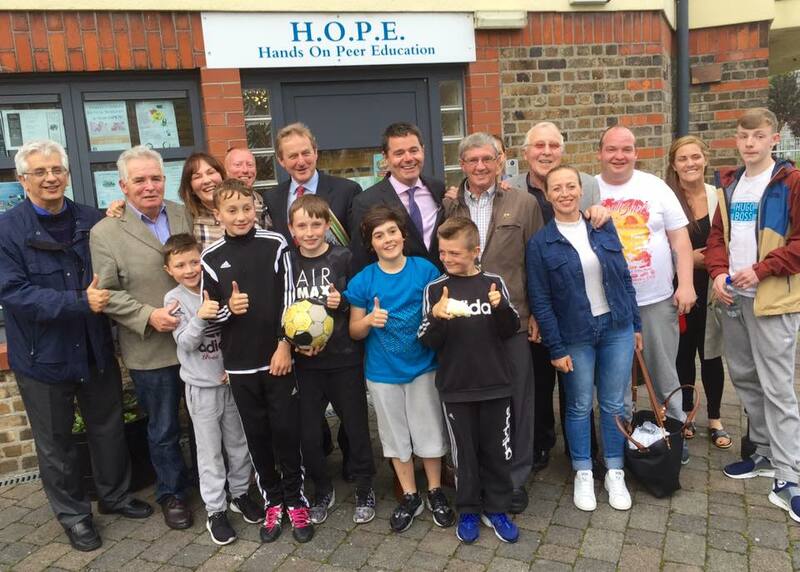 Last night the Taoiseach, Enda Kenny and the Minister for Public Expenditure, Pascal Donohoe, paid a visit to the HOPE project. 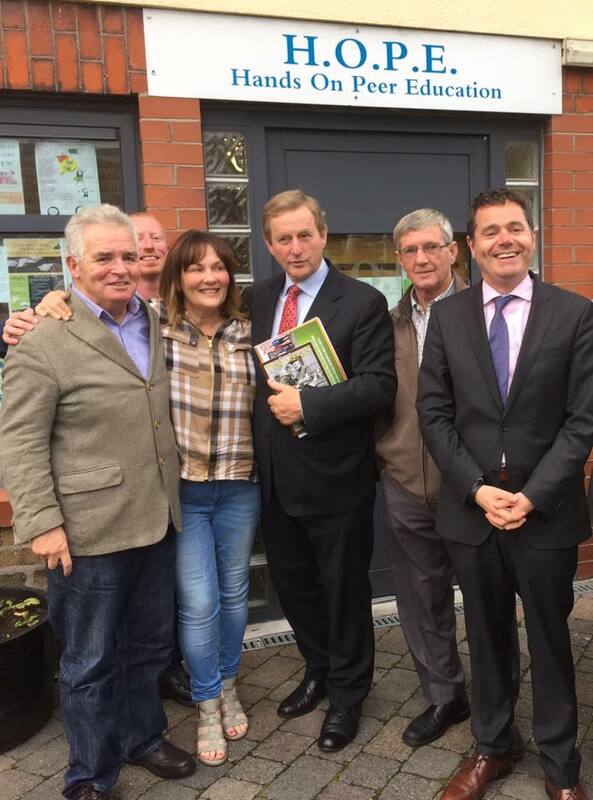 It was a very positive meeting and Enda & Pascal showed great interest in the community. Enda and Pascal were very interested in the process of recovery. There was even talk of new recovery initiatives. We’re very excited. 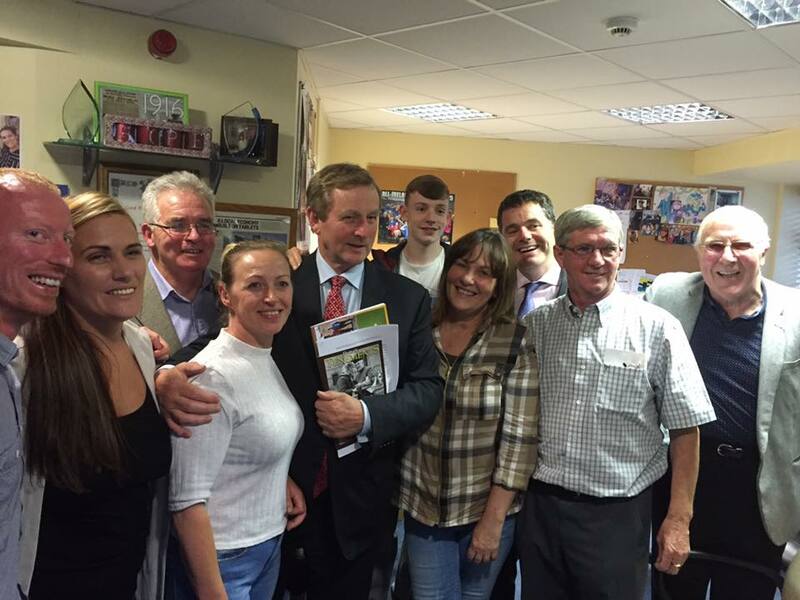 All the boys were very excited to see our Enda. Author HOPE Hands On Peer EducationPosted on July 6, 2016 February 13, 2017 Categories Addiction Treatment, Dublin's North Inner CityTags 2016, Dublin, Enda Kenny, Hands On Peer Education Ltd, HOPE, HOPE Ltd, HOPE Project, Inner City, Irene Crawley, Joe Dowling, Pascal Donohoe, Terry Fagan, the hope projectLeave a comment on A New HOPE for the community. Irene & Joe are part of the discussion on this episode of RTE’s Drivetime.